Oral traditions date the founding of Oyo-Ile to circa 1300 by either Oranyan (citing Oyo sources) or Shango (citing Ife sources). Within a 100 years it would become a formidable inland power extending from modern day Iseyin in Nigeria’s southwest to as far North as the bend of the River Niger where the River Moshi junctions off in Nigeria’s north central region. This expansion came with repercussions. In 1535, Tsoede of the Nupes would destroy Oyo-Ile. And for 80 years the Oyo royalty will live in exile. First as guests of the Borgu King of Nikki who allowed them settle in Gbere, just north of the River Moshi. Within 30 years, the Oyo royalty would take flight from the Borgu and seek to reestablish Oyo-Ile. They proceeded south to do so. They would then be hosted at Kushu and Shaki before founding an interim new capital called Oyo-Igboho. This new capital was fortified and remains of its triple walls can be seen today. These wanderings would take 30 years. The Nupes would try to destroy this new capital but failed. Within 20 years of defeating the Nupes and securing the old capital ruins, the Oyos would reestablish Oyo-Ile. And having learned the use of cavalry and armor from the Nupes they then began imperial expansion. Within 10 years, they had recovered all the lands lost to the Nupe as far North as the Niger river bend at Moshi, placed all the major Yoruba principalities to their South and East that had hitherto being confederates under tribute- the Ijesha, Ekitis, Egbas. They would lose the Eastern Yoruba Kingdoms to Benin after a failed Benin conquest expedition in the 1620’s. By 1625, within a 100 years of the first destruction of Oyo-Ile, the Oyos would have established themselves as the dominant imperial power in their region. The Oyo military machine continued to be relentless- the Oyos will subjugate the Ewes and Aja people of modern Togo/Benin by the late 1600’s, complete the conquest of Dahomey in 1748 and defeat the Asantes in 1764 setting the borders of the western frontier at Atakpame in modern day Togo. By the late 1700’s they would put the Mahi on modern day Benin-Togo border under tribute and reach their imperial height in 1784 when they achieved hegemony over Badagry. 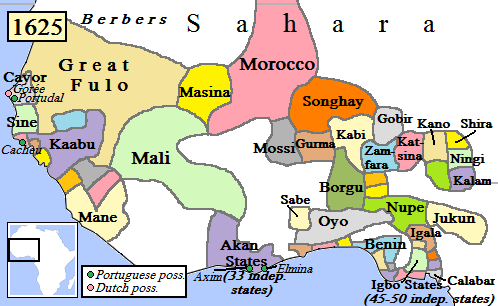 At its height in the late 1700’s, the Oyo empire would stretch from the River Niger bend in modern day Nigeria to the Volta river in modern day Ghana and down south to the Atlantic Ocean covering an area of 150,000 square kilometers abut the size of modern day Tunisia and bigger than South Korea, Austria and Portugal by 1-2x. The Oyo empire began to decline from the mid 1780’s after losing campaigns against the Borgu and Nupe. In 1817, its frontier military town of Ilorin seceded to the Fulani. In a bid to recover the town, the Oyo Alaafin Oluewu mustered all the Yoruba tributaries to a great war in 1835. The Borgus would ally with the Oyos in this war against the Fulani. The Oyos will be betrayed by their Yoruba kinsmen and the Fulani would rout the combined Oyo-Borgu forces and destroy Oyo-Ile forever. The Yorubas would then decline into their dark ages- 60 years of civil war where war lords ruled, slave trading was rife and blood-letting was currency of the age. Today’s Yoruba inherit their clan feuds from this period. The British would end the civil wars in 1896 and incorporate the warring Yoruba principalities into a protectorate. The Yoruba identity as a nation ceased to exist until reawakened by the need for survival within a new multi-ethnic British state called Nigeria. Yoruba decline started because the Oyo’s imperial fervor destroyed the confederate kinship of the Yoruba principalities. It reached a head in 1795 when Alaafin Awole commanded Afonja ( the Oyo Field Marshal) to go against his oath and destroy Ile-Ife’s market town of Apomu. Until this momentous order, all Yoruba principalities had been under a 500 year oath never to bring war to Ile-Ife. The series of events that emanated after the destruction of Apomu would lead to the ritual suicide of the commanding King, the secession of Ilorin, the final destruction of Oyo-Ile, 60 years of Yoruba civil war and the complete loss of Yoruba national identity and the steepest decline ever seen in standards of living and population density in the Yoruba homeland. Samuel Johnson and other Yoruba Egbas would through their publications and societies attempt the rebuilding of the Yoruba national identity in the 1920’s. 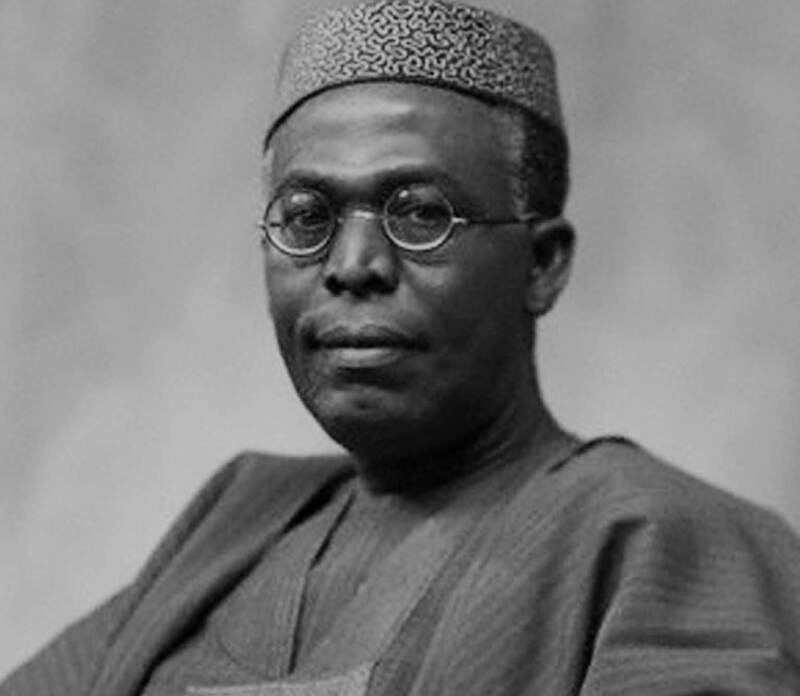 By 1940, a young man born amongst the Ijebus in 1909 would successfully forge the Yoruba into one of the most potent Nigeria-independence movements. He would foster a new pride in the Yoruba identity and through his social democratic policies over a 30 year period would create the foundation of the modern advantages that the Yoruba continue to enjoy. 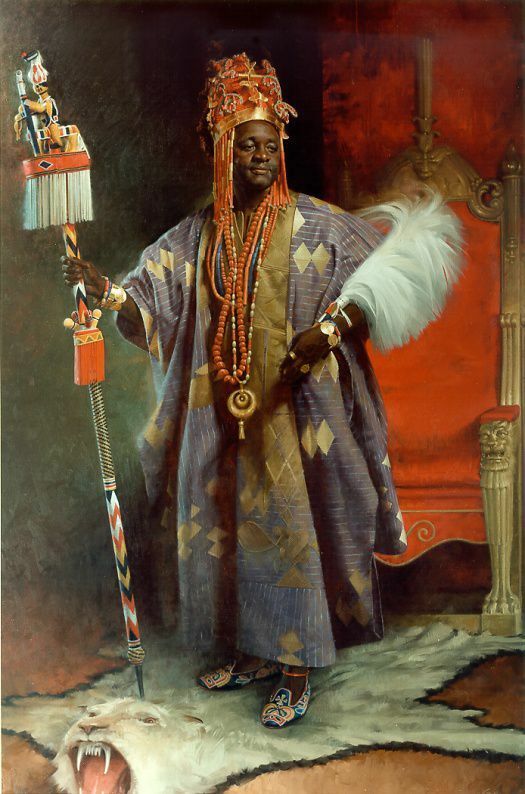 These advantages were built on a strong sense of ethnic identity and understanding of the extent of Yoruba power. They were enabled by social democracy that supported the creation of a large middle class composed of British trained white collar professionals, wealthy farmers who exported their produce using state support and blue-collared workers who continued the traditional trades- cloth-making, blacksmithing, hair making and other small-scale productions. In this modern gilded age, most Yorubas had 2 jobs- the outside and home job. The sustenance of traditional apprenticeship guilds, provision of free education and the use of agro-export clusters helped the Yorubas achieve the highest employment levels of any Nigerian ethnic group and turned the Yoruba homeland into Nigeria’s richest, safest and most cosmopolitan region. As Nigeria moved into a more unitary political structure in the 1970’s, the Yoruba’s creative and mercantile fervor would be constrained. The Yorubas would enter into a new age of decline which has become visible today in the decaying Yoruba cities outside Lagos. The Yoruba’s geographic basis of prosperity has never been coastal and for Lagos to be the only truly thriving Yoruba territory today is proof that the current Nigerian entity and indeed Africa’s country entities as set up is doing the Yoruba no good. In the 3rd part of this series, we will explore the key factors contributing to the modern day decline of the Yorubas and proffer solutions so that the Yorubas can regain their pride of place in Africa. A very interesting and informative post. Thanks for visiting my blog and for the offer to Mr. Oyeyinka. I think you will have to link up via Twitter. I could not find your email under the ‘comments’ as used to be. Pls keep in touch re the project if you are able to get it in motion. Do yo possibly have any contacts to Mr. Johnson’s descendants? Unfortunately, I have no line of communication with the Johnsons but I will try and pass your email to the guy who needed it.